Newly renovated three bedroom, two and a half bath Prewar Condo. This lovely apartment features an Open Living - Dining Area, and a "Sunken" Living Room. There are many original prewar details. Beautiful oak floors throughout and high ceilings. The Open Kitchen has all new appliances plus a center Butcher Block Island and excellent storage space. There are two full baths and one half bath, an open hall which can easily be used as an office, plus an in-unit washer/dryer. This apartment can be a wonderful home to grow in, an excellent investment or a perfect pied-á-terre. Robin Court, built in the 1930s, boasts many lovely Art Deco details. There is individual storage and bicycle storage. The location is one of the best in Manhattan. 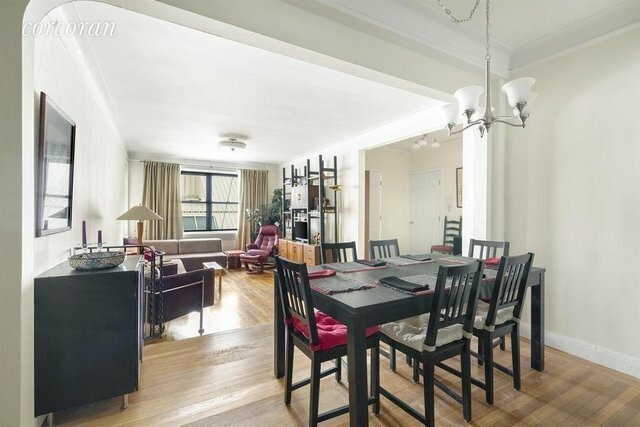 It is a half block from Central Park, a half block from Lincoln Center and surrounded by fantastic restaurants and shopping. Every mode of transportation is within minutes of the building.